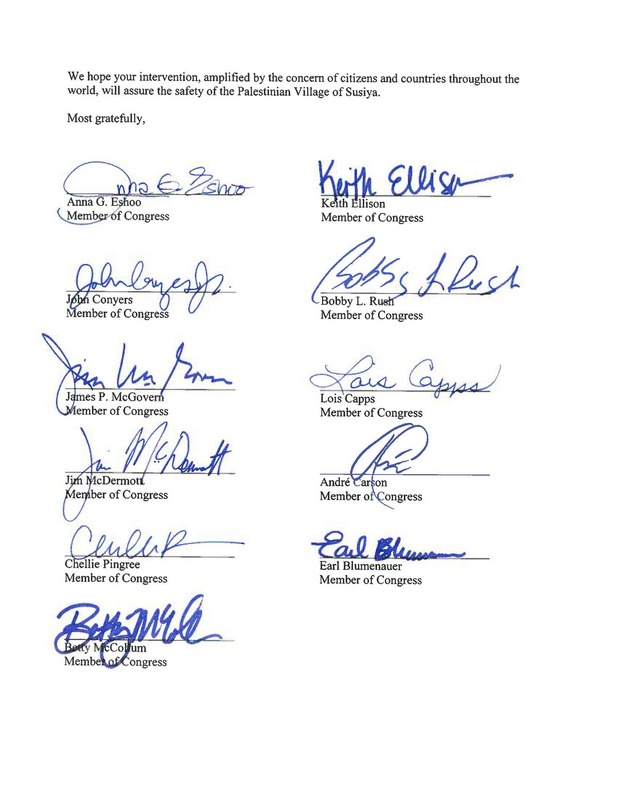 Members of Congress took action! With your help, Rebuilding Alliance has organized over 200 meetings and conference calls with Senators and Representatives from around the country, to ask that they intervene to keep Palestinian villages standing by making calls to the Israeli government and to the State Department on behalf of their constituents. One by one, this advocacy strategy has been remarkably effective in preventing the demolition Palestinian communities. 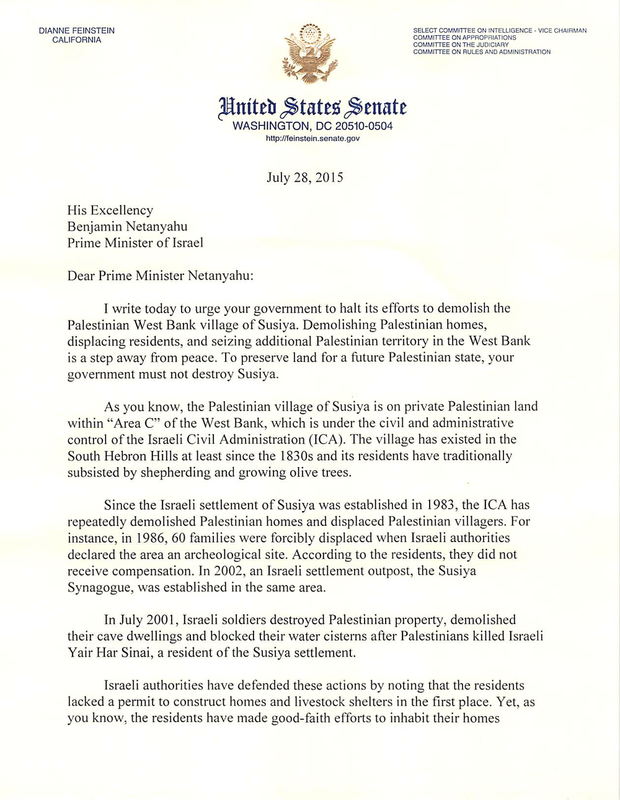 Here are public letters focused on keeping the Palestinian village of Susiya standing. Many more have made calls and sent letters privately. of Susiya and Khan al Ahmar. Click here to download the letter! 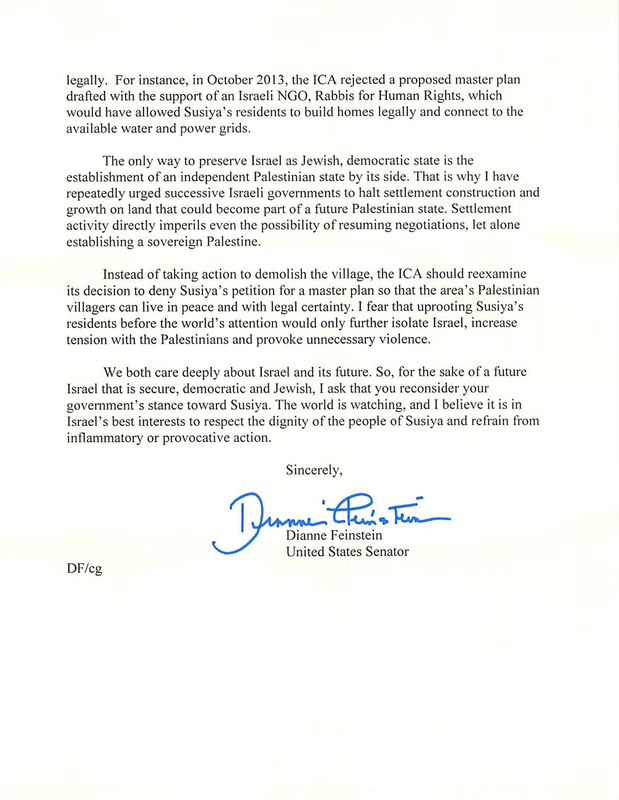 On Nov. 29, 2017, Sen. Dianne Feinstein and nine colleagues in the Senate sent a letter to Prime Minister Netanyahu urging him not to demolish Susiya. On Oct. 12, 2017, Rep. Anna Eshoo and 10 colleagues in the House sent a letter (drafted by the RA team) to Sec. of State Tillerson, urging him to protect Susiya and Khan al Ahmar. 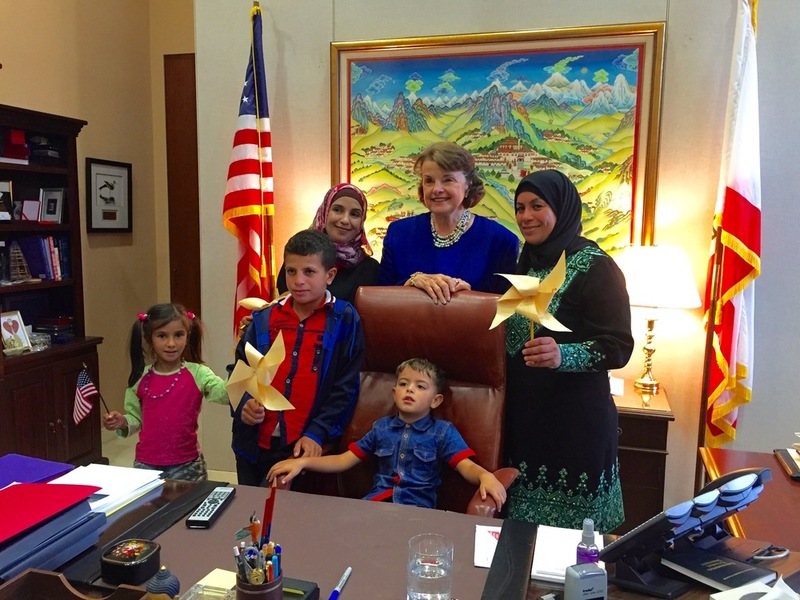 Senator Dianne Feinstein with families from Umm al-Kheir and Susiya in September 2015. 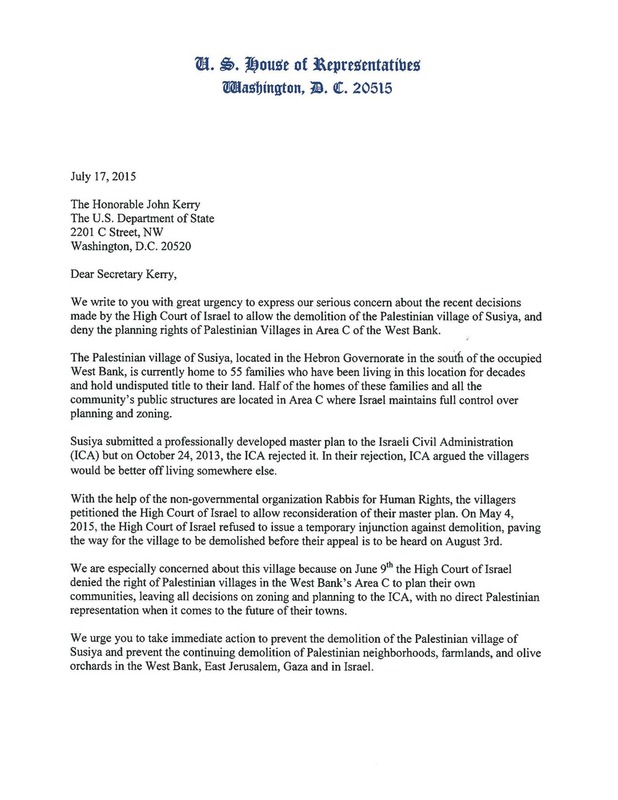 In response to the July 15, 2017 announcement released by Rabbis for Human Rights describing the Israeli Army's announcement that the demolition of Susiya would take place immediately following the holiday of Eid al-Fitr, Representative Anna Eshoo and 10 other representatives urged Secretary of State John Kerry to take immediate diplomatic action to prevent the demolition from happening. Now, we ask your help to PRESS your Senators and Representative to Call the Israeli Embassy on your behalf. Tell them "I care about peace, I care about Susiya." The United States should support the rights of Palestinian families to live and plan on the land they own. These villagers pose no security threat to Israel, they are threatened by illegal settlement expansion, and they have clear title to their land. Tell them This is an URGENT matter - demolitions can start at any moment. Call the State Department and ask for more information about Susiya.